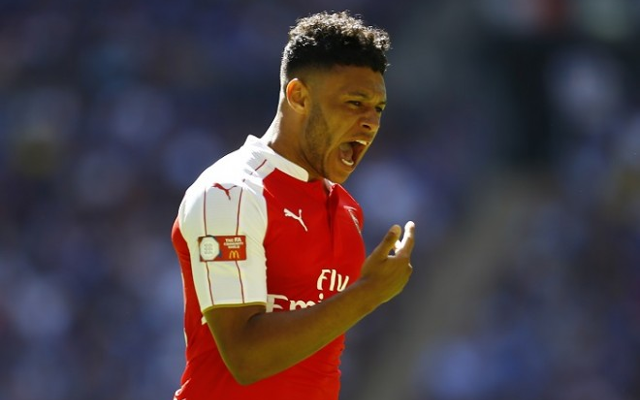 Alex Oxlade-Chamberlain’s season-ending knee injury ruled the Arsenal midfielder out of contention for England’s Euro 2016 campaign this summer. 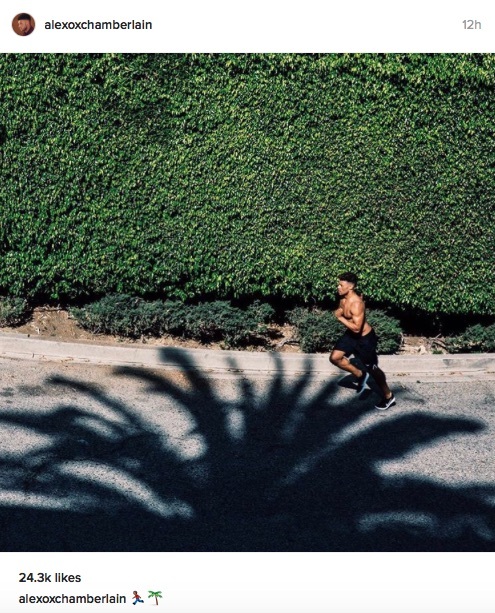 But the 22-year-old is making the most of his holidays by getting into superb shape for the new season. He uploaded this two pictures to his Instagram account. 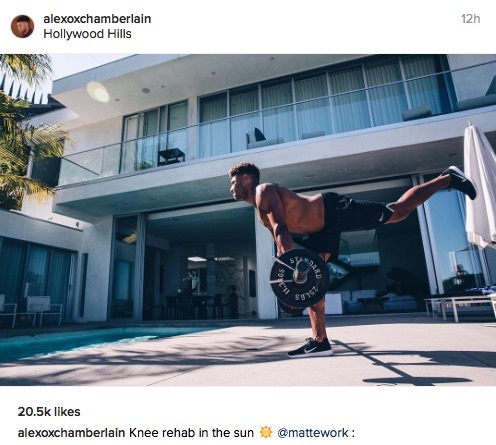 There are lots of distractions in the Hollywood Hills, so fair play to Oxlade-Chamberlain for knuckling down, and let’s hope that it pays dividends next term. The England international is arguably facing a make-or-break season at the Emirates Stadium after seeing his development stutter over the last couple of years.